'Ok. That's it.' -- Three words and before anyone could guess Mahendra Singh Dhoni had stepped down as the captain of Indian cricket team in the limited-overs format. Situations change with the blink of an eye. One just did! It was the 13th of September in 2007 when India was to face Scotland in their first Group D encounter of the ICC World Twenty20 2007. MS Dhoni walked out for the toss as the captain of India for the first time in Kingsmead, Durban. 3,401 days (nine years, three month and 22 days) later, MS Dhoni without making a fuss about anything and without any acclaimed media conference, informed MSK Prasad, Chairman of Selectors, that it is time for a new leader to take forward the reigns of Team India. 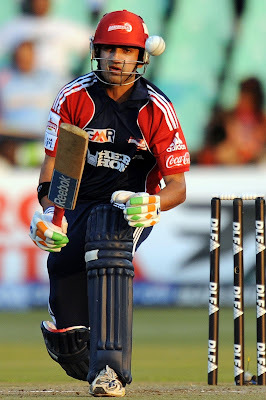 From giving the last over in the final of the ICC World Twenty20 2007 to Joginder Sharma to promoting himself in the batting order in the final of the ICC Cricket World Cup 2011, from winning the Commonwealth Series down under in 2008 to winning the ICC Champions Trophy 2013 in England, from a swashbuckling wicket-keeper batsman to the most serene leaders of the game, I have seen him, India has seen him, and the world has seen him progressing and transforming. From India becoming a No. 1 test side to India losing 0-4 in both England and Australia, Dhoni had been there, done that. MS Dhoni will go down as the most experienced captain in the game of cricket. With the ICC Cricket World Cup, the ICC World Twenty20 and the ICC Champions Trophy, Dhoni is the only captain in the world to have all the ICC trophies under his kitty. Apart from these prominent trophies, Dhoni also has two IPL trophies and two Champions League trophies under his belt. Let alone the numerous bilateral series wins. He became the most experienced captain in international cricket in 2016, surpassing Ricky Ponting. 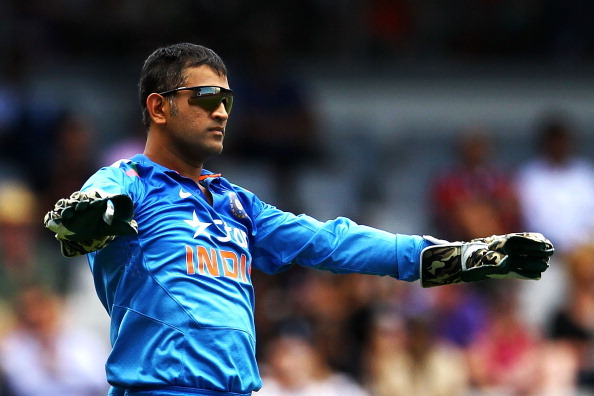 In terms of number of ODI wins, Dhoni (110) is just second to Ponting (165). Things were not only limited to leadership. He (6,633) is also only second to Ponting (8,497) in terms of ODI runs as captain. He is also second in connection to batting average as an ODI captain. His average of 53.92 is only second after AB de Villiers, who has a batting average of 65.92 as captain. His 53 half-centuries as an ODI captain have again placed him second after Ponting (73). Talking of T20I cricket, Dhoni has the record of most matches (72) as T20I captain. He also holds the record of most T20I wins as captain (41). His 1,112 T20I runs also place him at the top as far as runs as captain in T20I are considered. Touching on his unforeseen decision, it has perhaps been made keeping the ICC Cricket World Cup 2019 in mind. Virat Kohli, who is all set to lead the Indian team in all the three formats now, has virtually 55 ODIs before the gala event in 2019. He also has the ICC Champions Trophy 2017 to captain in which means that he will have more than just decent amount of experience before going into 2019. Not thinking much about the future, this is the apt time to celebrate the glories of 'MS Dhoni - The Captain' for he has selflessly taken Indian cricket in the most desired direction over the last decade. It might be the best time for Kohli to carry the baton but Dhoni as a captain will be missed BY DEFAULT. He might have been the best captain, but he was still a tad better human being! Thank you Mahendra Singh Dhoni for taking the pressure of leading India for almost a decade and leaving us all with uncountable memories of yours!